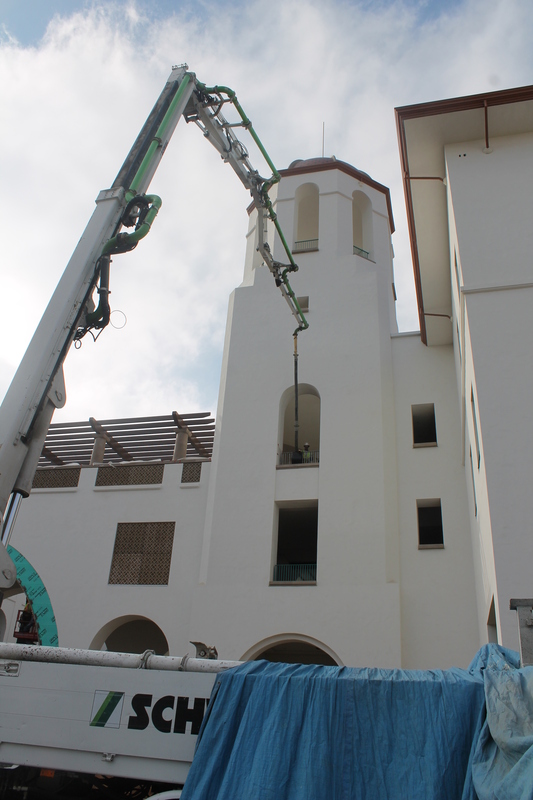 A concrete pump extends to the third floor for the pour on the arcade (covered walkway in Union-speak). 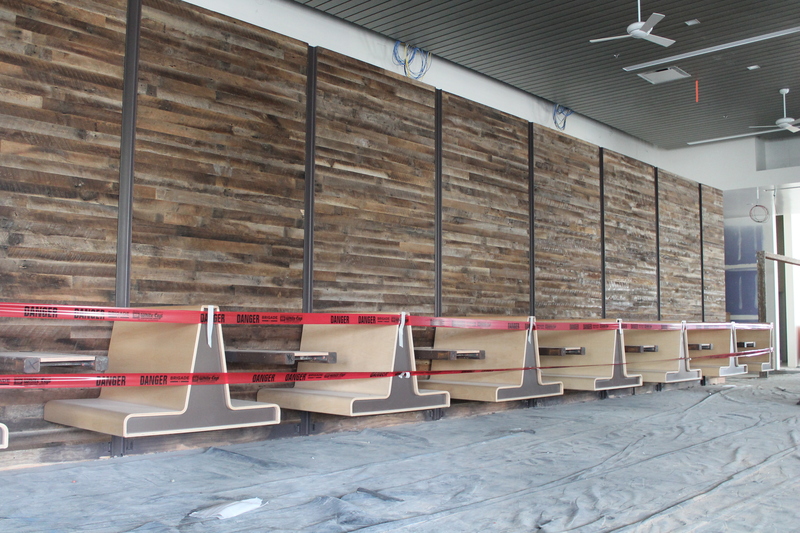 Bench seating was installed in the cafe dining space on the first floor. 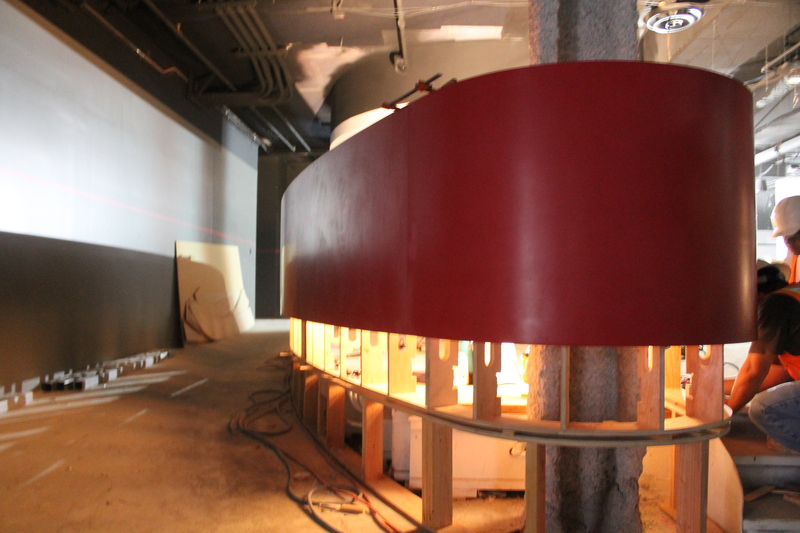 Work lights provide illumination for crew members as they install the customer service desk in Aztec Lanes. 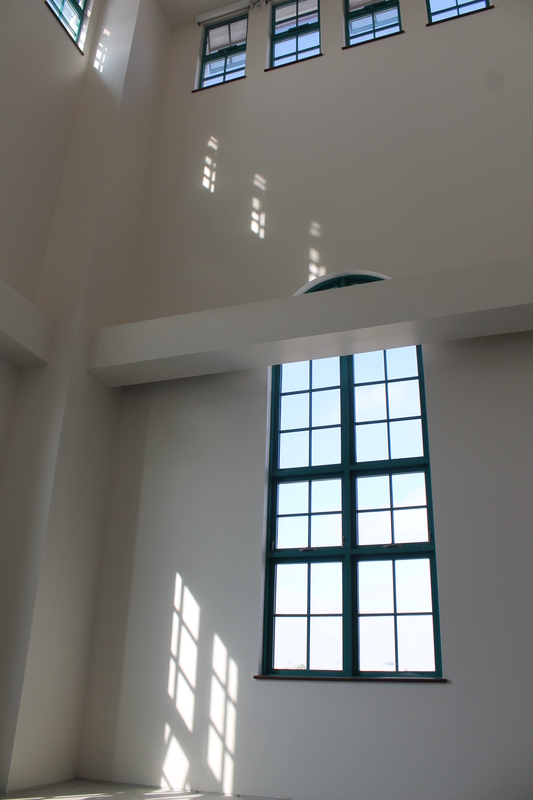 Morning sun illuminates the ARC Express. 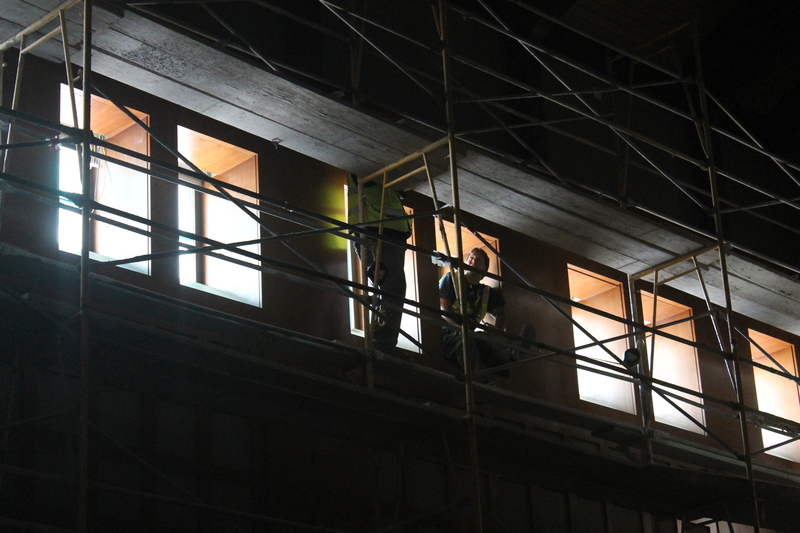 Crew members take a moment to chat while working on the high windows in the theater. 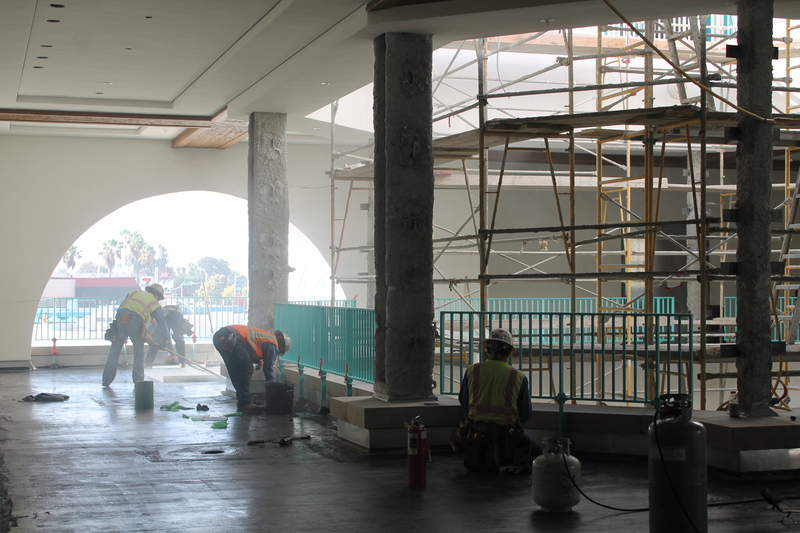 Crew members smooth out the concrete on the third floor.